“Lead Broker” or “List Broker” – What Does that Mean? A lot of people get online looking for qualified investors and they punch in the keywords “lead broker” or “list broker“. What does “lead broker” or “list broker” mean? A “lead” is a name, an address and a phone number. A “broker” is a guy that deals with the leads or lists. That is what we do here at AccreditedInvestorLeads.com. Accredited Investor Leads Are The BOMB! I consider myself a list broker and I broker various investor lists. About 90% of what I broker is accredited investors leads (or lists). That means I buy contact information of people who have been mailed a private placement memorandum (PPM). In order for an investor to receive a private placement memorandum, he or she must be vetted. This means the investor has answered “Yes” to the following questions: “Do you make at least $200,000 a year?”; “Have you got at least $1 million net-worth (not including your home)?” and “Do you have experience in managing your personal portfolio?” After these questions have been verified, the investor is mailed a private placement memorandum. I am a list broker that deals in accredited investor leads, accredited investor lists and so on. 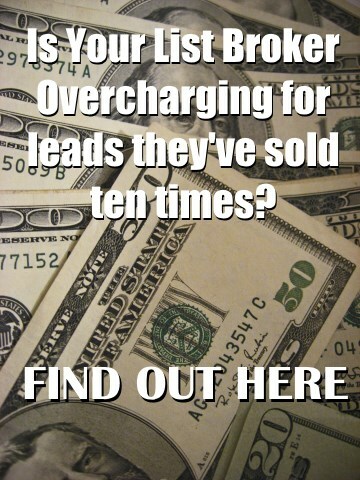 To make sure you understand what’s a lead broker? Or what’s a list broker? A lead? A list? A lead is one name, address and a phone number and a list is a bunch of those leads. I know, it’s that simple. If you have any questions, call me, John Fischer: 561-981-8777 or toll free at 800-590-5323. To request a free lead quote, simply use the quote form to the right or send me a chat here online. Thank you for your time, and God bless.